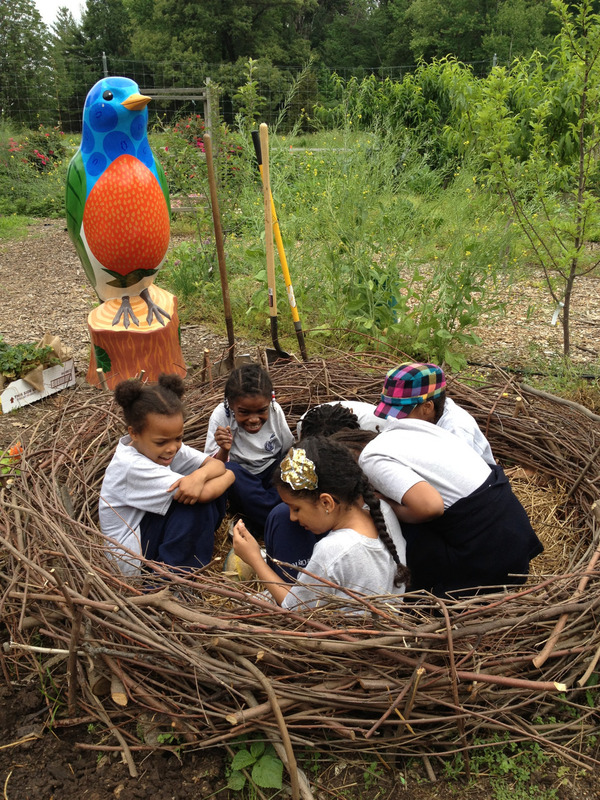 Thank you to volunteer Lauren (bottom photo) from Holland and Hart, LLP for making Farmer Nadia’s dream of a giant bird’s nest a reality. 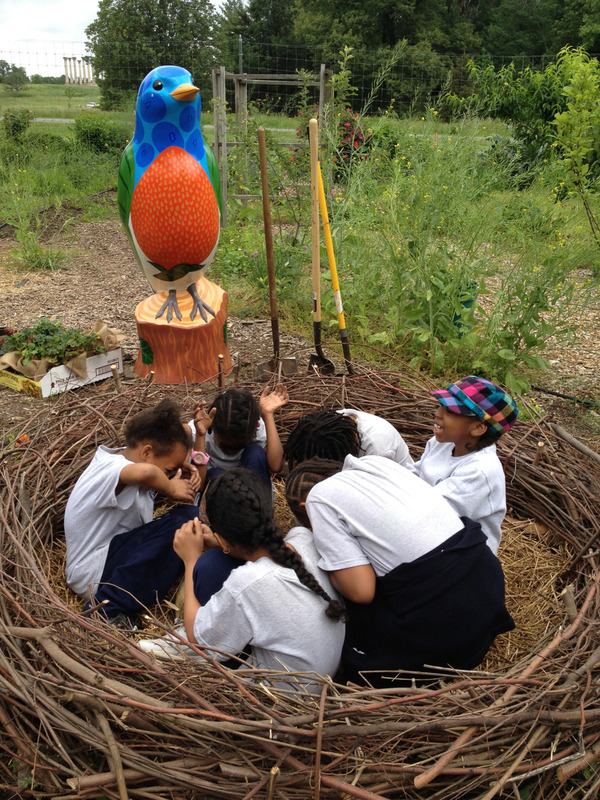 Students have always loved our unofficial bird mascot, the donated “Red, White and Blueberry Bird” from the “Birds I View” PG County public art project. 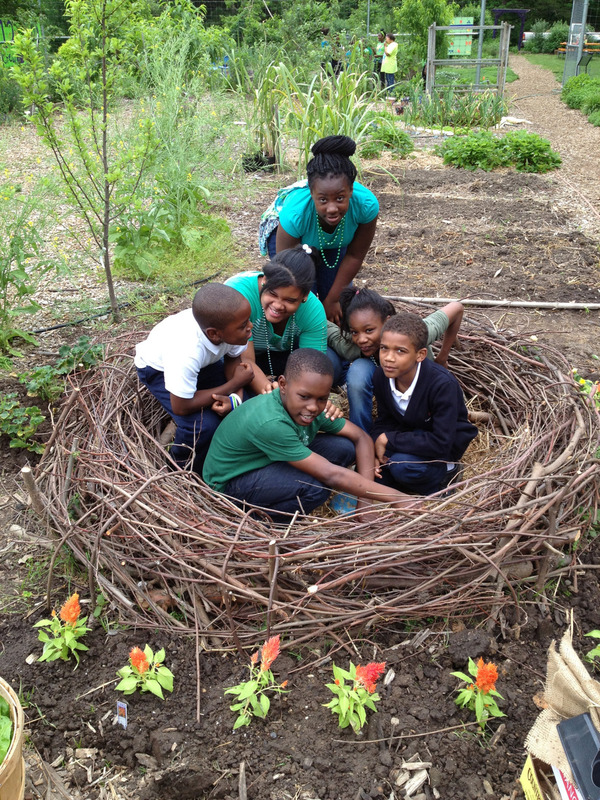 Now students have one more whimsical, kid-friendly feature to enjoy in the Washington Youth Garden: a kid’s sized nest!